We are constantly hearing words like “Big Data”, “Data Scientist” and “Predictive Analytics” – but what do they really mean? How can they help to predict incidents and drive prevention? What is the importance of engagement? And how will that drive the predictive model? The term “Big Data” is really just a term to define the massive amount of information collected by any given company. In the safety industry, there are companies collecting up to 700 inspections per month- and that’s just for a few of their projects or areas within one facility. That is 700 inspections per month for the last 10 years. Each of those inspections is made up of an average of 50 items that are either safe or unsafe. This means that 4.2 million data points have been collected to date. That is “Big” data, right? The challenge that Big Data presents has given birth to the Data Scientist. Simply put, a Data Scientist is a Data Problem Solver. Often, Data Scientists have domain expertise. Predictive Analytics uses a combination of Big Data and the domain knowledge of a Data Scientist to create predictive models. When the amount of data (projects, sites, or workgroups) quickly become too large for humans to process that is when predictive models become extremely useful. A properly thought out Value, Strategy, Plan (VSP) is crucial to building a predictive model for any environment. VSPs should be the foundation for any initiative a company has. If this step is skipped, it will be challenging to achieve meaningful output or, worse, there will be an output that creates the wrong action. When thinking about a vision relative to prediction, consider basic question such as, “What is my end goal” and “Why do I have a safety program in the first place.” Often, these answers are straightforward: protect life and reduce costs. With that in mind, a Strategy that supports achieving the Vision needs to be created. While considering a strategy, think about “What do I need to achieve this goal,” “How can we protect life and reduce costs?” While there are deeper question to ask, the point is to create a meaningful path for your organization to take to accomplish the vision. An example of a strategy is to reduce and control risk. But how will this be accomplished? There needs to be a plan. In this example, historical and potential risk needs to be measured. Why? Risk is measured to make sure company’s understand their vulnerabilities and create plans to mitigate them. Often, projects and tasks are planned; however, inspections/observations are not. Usually, there are goals around the number of inspections/observations. Not only does the inspection strategy improve the impact of inspections/observations in the field, it also impacts the direction of the predictive model. These models have been created to include historical and current data, which will react to the data inputted and make a decision. To achieve optimal results, accuracy of information collected is important. Models are “trained” by feeding them actual workplace safety observations collected, as well as historic work site incidents, such as injuries and fatalities. 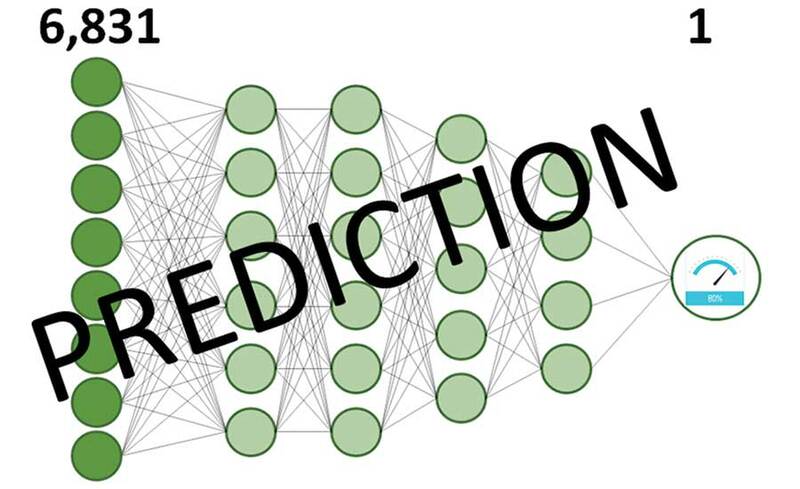 Predictive models use advanced learning algorithms. Based on these algorithms, the models can identify worksites that have a high risk of incidents. To verify their accuracy, models should be rigorously tested. They should also be continuously retrained and validated with new data to keep them up to date. The data evaluated consists of historical risk, engagement and quality. Historical risk includes incidents/injuries, near-misses and types (first aid vs. recordable). Engagement includes inspections, observations and the observer. Relative to quality, the severity of at-risk actions, late fixes, and an evaluation of an observer’s collection patterns is considered. Within these data types there are several levels of granularity within the data types that should be considered — location, worker and observer. Looking at a given month for an average customer, data is collected across 37 locations and 77 workers coming from 93 observers. Combing these granularities with the 33 different types of data collected results in 6,831 data points. But, how many data points can the human brain handle at one time? According to Nelson Cowen, Ph.D. in Psychology Professor University Missouri-Columbia, the answer is 4. It is evident that 6,831 is far greater than 4 — meaning that tackling this amount of data purely by human means is simply not possible. This problem is exactly what a Data Scientist (Data Problem Solver) addresses with predictive models. Through a series of models, a Data Scientist is able to take those 6,831 data points and reduce it to one actionable item. It is similar to predicting the weather and providing a probability of rain. Once predictive models and the appropriate level of data visualization is in place, you are able to start planning your action. A great first step is to group items into profiles. Then, you can consider appropriate corrective action based on each profile. What has been shared in the document is only the beginning of what can be accomplished with predictive models. While considering how this can benefit your company, remember there are important prerequisites. It is important that you have a way to measure the quality of the data being collected, have engagement of management/workforce and a review process for continuous improvement. Make sure every action taken refers back to the overall goals laid out in your Vision, Strategy, Plan. It is through this agreed-upon VSP that the true power of predictive models can be realized. Nick Bernini is the manager of predictive analytics and lead data scientist at Predictive Solutions Corp. He has spent the last 10 years building predictive models across the Marketing, Education, Retail, Finance, and Governmental sectors.